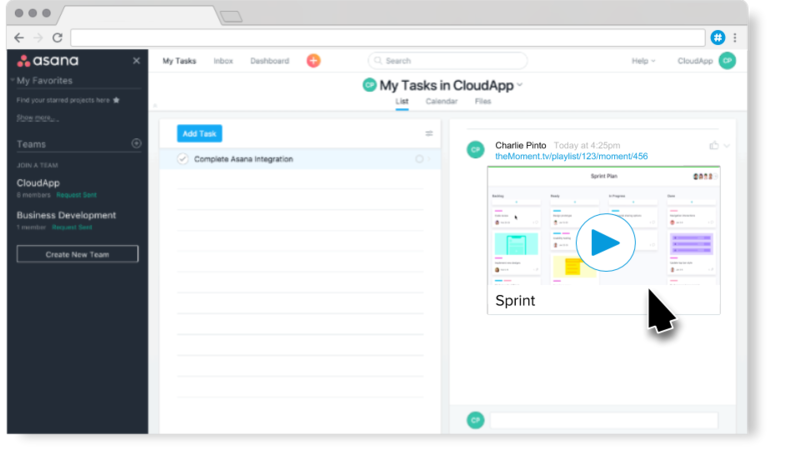 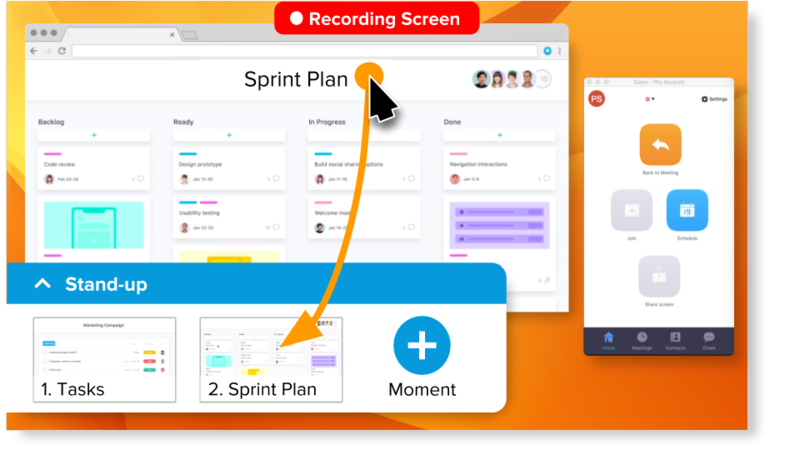 Automatically bookmark when you discuss each Asana task within your Zoom recordings. 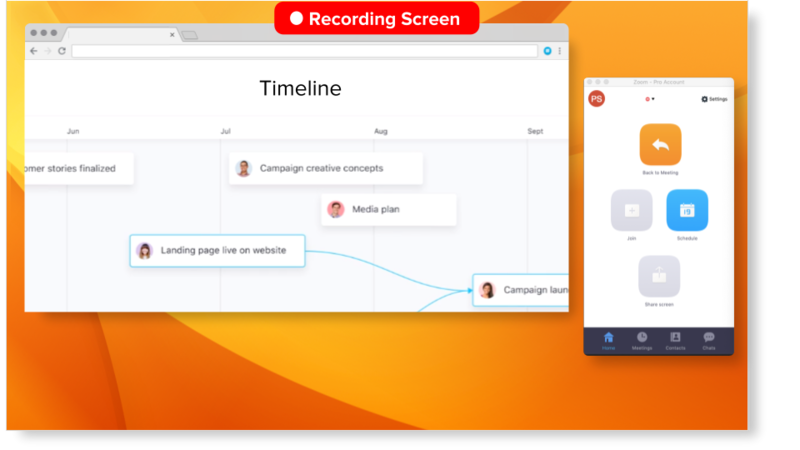 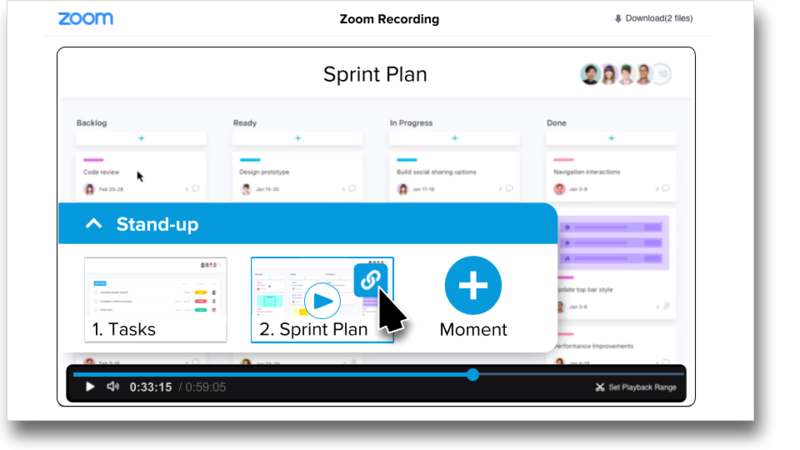 Use Zoom to record your stand-ups and planning meetings. 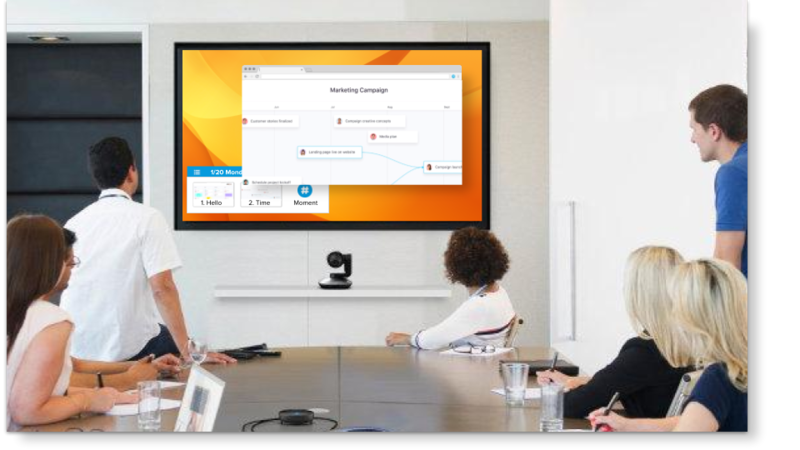 During the meeting, click theMoment to tag when something important happens. 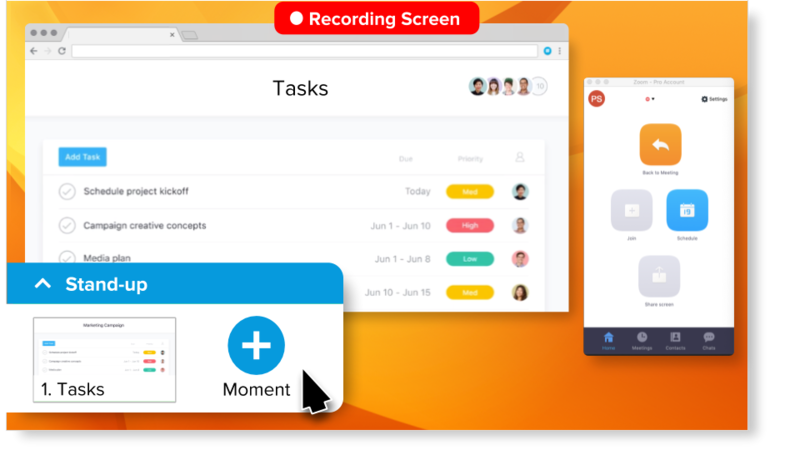 theMoment automatically tags the exact time in your meeting recordings when you view each Asana page. 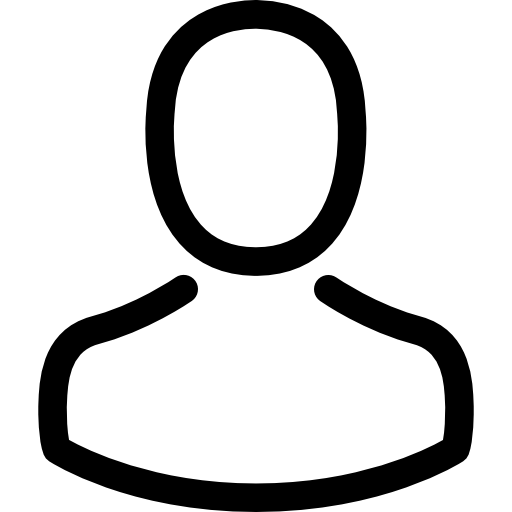 Deep link directly to the tagged moments in the video. 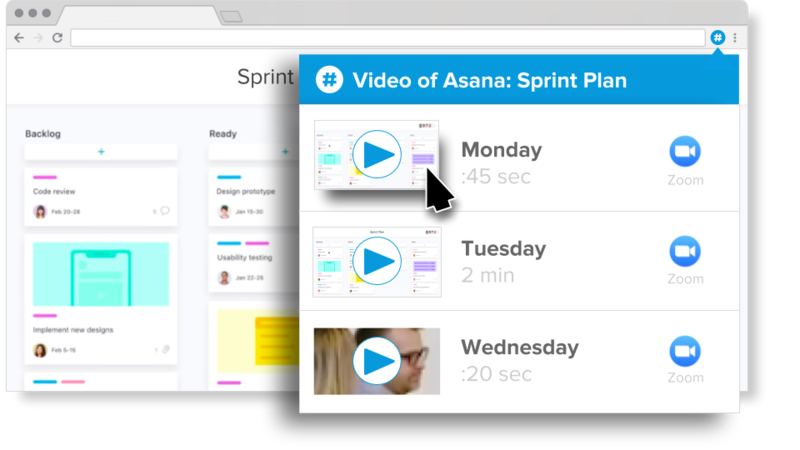 When viewing any issue on the Asana site, click the browser extension icon to see every moment related to that issue. 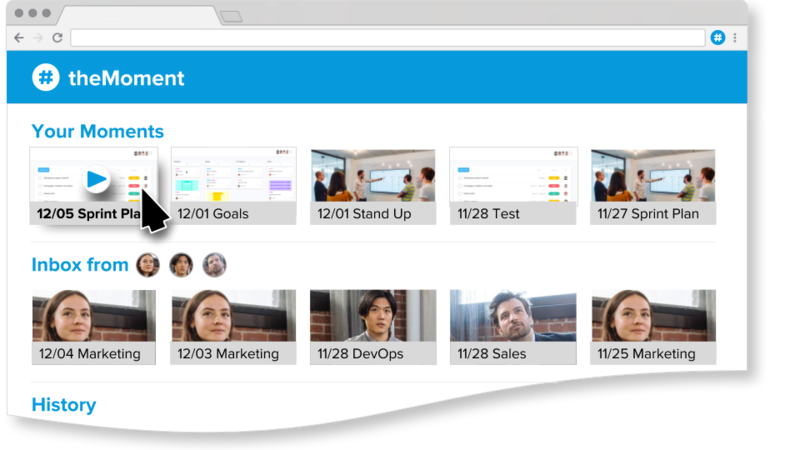 During meetings, Asana automatically adds a link to what you're discussing right then. 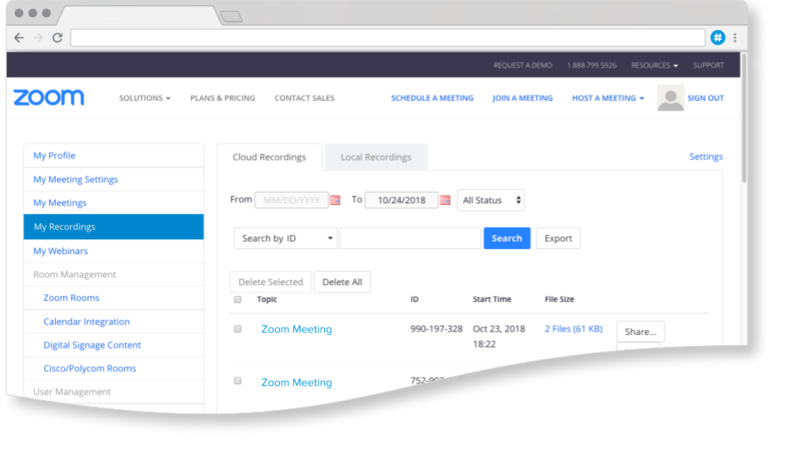 As safe as Zoom — because it is Zoom.